The revised design for the Fremont Place apartments will include a wider greenway trail and creative art studio spaces facing the river. The Daily Journal of Commerce wrote about Block 76 West—the project formerly known as Sideyard—which is “being squeezed into hot spot“*. In a 4-0 vote, the Portland City Council took a tentative vote to approve revised designs for the Fremont Place Apartments. The Pearl District Neighborhood Association had previously voted to drop their opposition to the project. 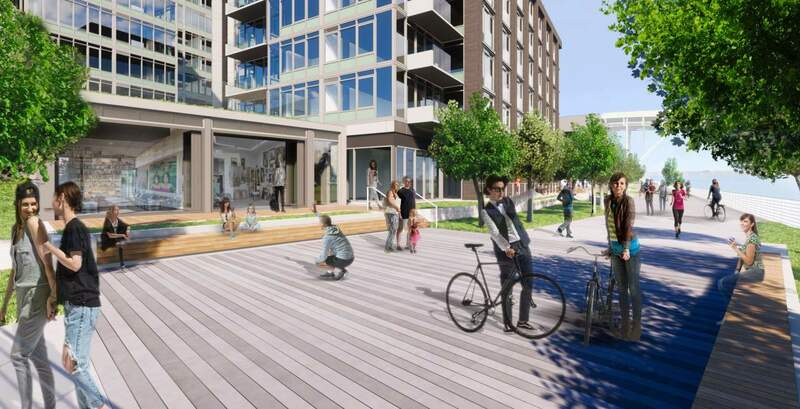 Longtime Central Eastside developer Beam has been picked to lead the redevelopment of the ODOT Blocks, reports the Oregonian. According to the Oregonian Blue Star Donuts will open a “massive new downtown Portland flagship” in the 12th & Morrison office building. The Oregonian published images of what the MLB stadium proposed as part of the Portland Diamond Project could look like. Foundation work is underway on 250 Taylor, which will be the new home for NW Natural. The Daily Journal of Commerce published photos of the progress to date. The Portland Tribune reported that ‘World-class’ Portland school rebuilds are still planned despite $100M funding gap. This is an updated version of a post originally published on January 29th, 2016. 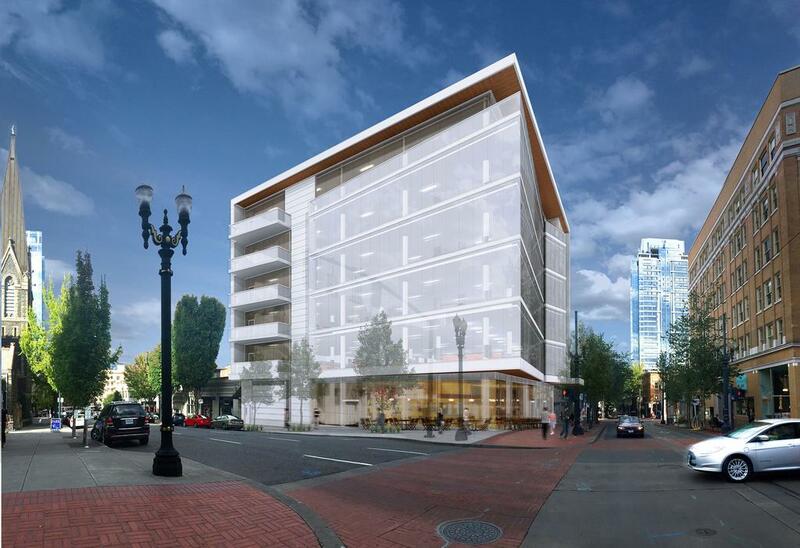 Construction is underway on a 6 story office building at SW 12th Ave & Morrison St. The 58,862 sq ft project will include ground floor retail with 5 floors of office space above. No vehicular parking is proposed. The architects for the building are Design Department, working with LRS Architects. The developers of the project are Menashe Properties and North Rim Development. Portland Shoupistas asked if it is time for Portland to eliminate minimum parking requirements, following recommendations from the White House on how to reduce barriers to housing development . The DJC wrote about how Ankrom Moisan is rethinking the architecture office*, as they get ready to move into their new home at 38 Davis in Old Town. The Business Tribune looked at Clay Creative, the new Central Eastside offices on the site of old Taylor Electric building that are now home to online bank Simple. As Zidell Marine gets works on its last barge, Portland Architecture discussed Portland’s transforming waterfront and wondered if the “gold-hued gantry crane” could be retained as part of future development on the Zidell Yards. BikePortland looked into whether the end of barge building could accelerate the schedule for completion of the South Waterfront Greenway path. The Oregonian discovered that “Portland housing officials learned this week how much it’ll cost to buy land from the Zidell family to build affordable housing“–but won’t say yet. KOIN reported that after 53 years Der Rheinlander restaurant at 5035 NE Sandy Blvd will close in 2017. The property has been bought by developer Venerable Properties. Directly across the street, at 5036 NE Sandy Blvd, a 6 story apartment building is planned on the site currently occupied by Taco Time, writes the Hollywood Star News. The Portland Business Journal wrote about the 154 new affordable housing units planned at 121 SE 146th Ave by Home First Development. A lengthy piece in the Willamette Week looked at affordable housing, and how “City officials have paid little attention to delivering the most housing for the money spent“. With demolition underway at 1127 SW Morrison St ghost signs were revealed on an adjacent building, for the first time in 93 years. Restore Oregon tracked down newspaper ads for each of the businesses. The Portland Business Journal showed images PSU students’ $1.3B idea for the Post Office Redevelopment . After Portland-based ZGF Architects were named the nation’s top firm, Portland Architecture profiled the firm and looked at how it achieved the title. Walls of the City looked at whether mid rise buildings can be family friendly. With the Pearl District Post Office now in PDC ownership, Portland Monthly reported on the PSU students who are coming up with ideas for the future of the site. After more than 50 years of building barges in South Waterfront, Zidell Marine is now building its last barge. The firm will now concentrated on the redevelopment of the Zidell Yards. Last year Design Advice was offered for office building on Zidell Blocks 4 and 6, although neither building has moved forward since then. 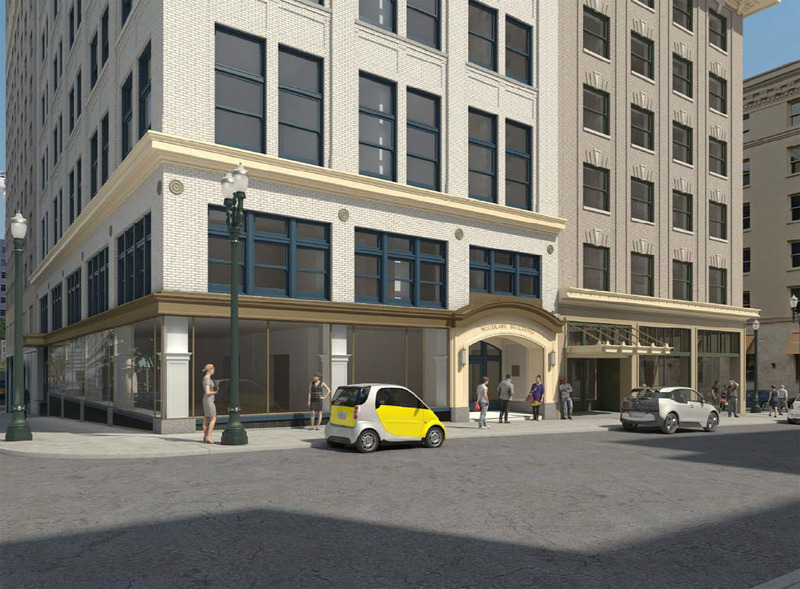 The Business Tribune reported on the “lightened up” iteration of Modera Davis, which was recently approved by the Design Commission. OPB’s ‘State of Wonder’ covered the wood framed Albina Yard, the recently completed North Portland office building that is the first building to use domestically fabricated structural CLT panels. 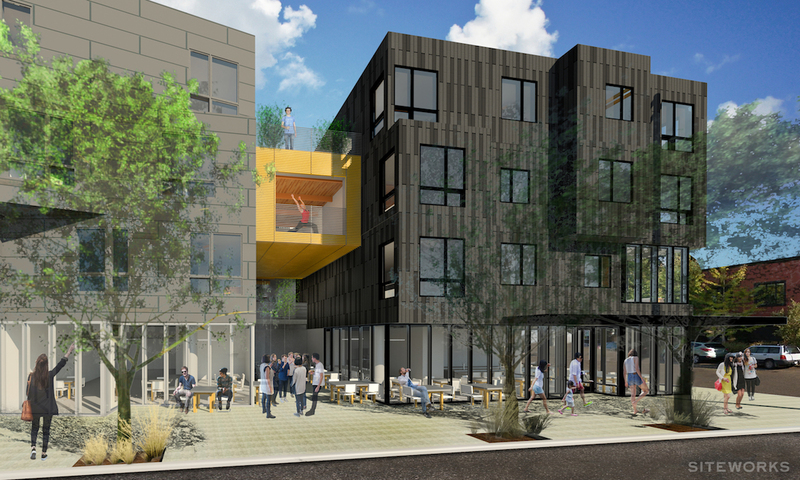 The Portland Business Journal reported on the 6 Portland health organizations that have pledged $21.5M for low-income housing projects. The money will help fund three projects, in partnership with Central City Concern: the Eastside Health Center at NE 122nd and Burnside; the Stark Street Apartments at 12647 S.E. Stark St; and the Interstate Apartments at 6905 N. Interstate Ave. The paper also provided renderings of the three projects. The Business Tribune looked at the Jantzen Apartments, which recently went before the Design Commission for its first hearing. The DJC published photos of the demolition of a single story building in downtown, which is set to be replaced by the new office building at 1127 SW Morrison St. Architect magazine released its top 50 firms of the year, with Portland-based ZGF Architects in the #1 place. Also on the list from Portland was Hacker, at #13. In the design rankings of nationwide firms Works Partnership came in at #5, ZGF at #7 and Hacker at #17. A single story commercial building at SW 12th & Morrison is about to be demolished, reports the Portland Business Journal. 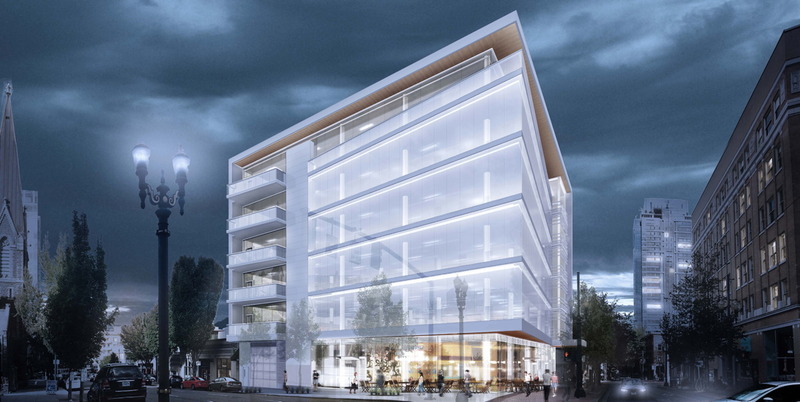 The building will make way for the 1127 SW Morrison office building. The DJC reported on how “Sellwood growth stirs residents“*. Projects planned or under construction in the neighborhood include Spokane.13, 7119 SE Milwaukie, Galaxie Lofts and Sellwood Bridgehead. Knot Springs Spa & Fitness has opened in the Burnside Bridgehead tower Yard, according to the Portland Business Journal. The 11,500 sq ft facility “offers monthly memberships as well as services by appointment”. The Oregonian reported that ‘Top Chef’ finalist Doug Adams will be opening a restaurant named Bullard in The Woodlark, the Downtown hotel that be created in the Hotel Cornelius and Woodlark building. Existing business Johnny Sole, currently located at the site, will close according to the Portland Business Journal. The Portland Business Journal wrote that the Portland Development Commission has agreed to spend a further $1 million to demolish the feed mill building at Centennial Mills. Current plans still envision the retention of the iconic flour mill. An investigation by The Oregonian covered how Commissioner Saltzman withdrew the award of city owned land and funding for Meta Housing’s Creators Collective project, and instead gave it to Portland Community Reinvestment Initiatives Inc, for their King Parks project. The Abigail, the latest affordable housing development in the Pearl, had a grand opening on Friday. The 155-unit apartment building includes 128 units for families making between 30 and 60 % of area median family income. 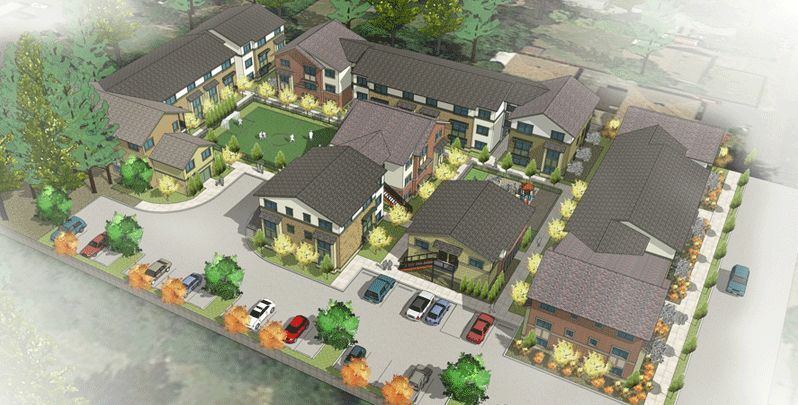 The Foster Powell blog wrote about the 131 Units of Housing Coming to Foster at 5811 SE Boise, with more on the way at other sites. The Portland Business Alliance endorsed the city’s affordable housing bond as an “important part of the equation to address housing affordability in Portland,” reports the Portland Business Journal. 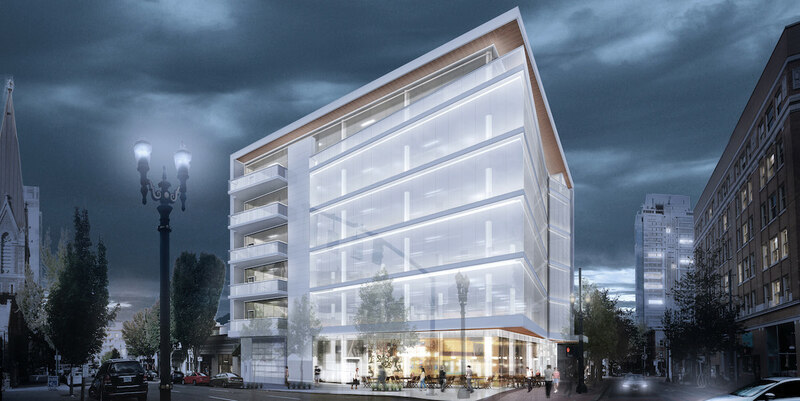 A proposal for a 6 story building at SW 12th Ave & Morrison St has gone before the Design Commission for its first Design Review hearing. The 58,862 sq ft project would include ground floor retail with 5 floors of office space above. No vehicular parking is proposed. The architects for the building are Design Department, working with LRS Architects. The developers of the project are Menashe Properties and North Rim Development. 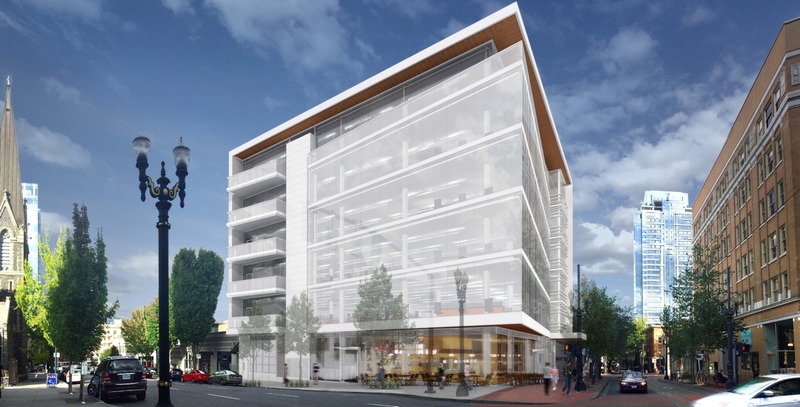 The Portland Business Journal took a first look at the 6 story office building planned by Menashie Properties for a site at 1139 SW Morrison. The building is being designed by Design Department and LRS Architects. Construction is underway on the PSU School of Business Administration. The Daily Journal of Commerce published photos of the work underway. The Oregonian published 5 takeaways from Portland’s plan for next 20 years of growth. Portland Architecture interviewed the architects and developer behind the development at 3rd and Taylor, which threatens the Ancient Order of United Workmen Temple and the Hotel Albion. The Oregonian reported on the new 20 story condo tower planned for Block 20 of the Hoyt Street Yards in the Pearl. The building would have 150 residential units and 190 parking spaces. The James Beard Public Market is set to close on the deal to acquire the land at the west end of the Morrison Bridge, according to The Oregonian. The current schedule envisions the market opening to the public in 2020. Design work has begun on the Grant High School Modernization, one of the projects funded as part of the $482 million bond passed in 2012. Grant Magazine published the first conceptual drawings of what the rebuilt school will look like. The Portland Chronicle published images of The Truman apartments at SE 44th and Hawthorne. Construction on the 30 unit building is due to begin in early 2016.